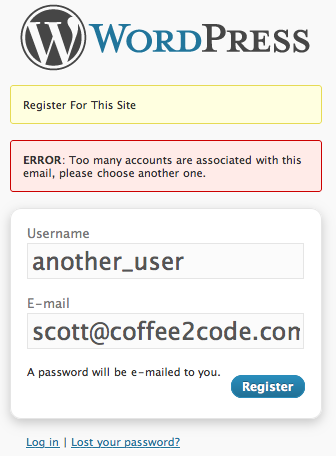 Those of you who have used WordPress in the past with user registration enabled know that your visitors can’t open up multiple accounts using the same e-mail (unless they use e-mail forwards). In some cases, you may want to allow your visitors to have the option to open multiple accounts but not too many. That’s where Allow Multiple Accounts comes into play. It is a powerful plugin that gives you control over how many accounts your visitors can have using the same e-mail address. Users can define duplicate accounts limits for users universally. If you want only your admin to have the option to open multiple accounts using the same e-mail address, you want to uncheck the check-box demonstrated in the above screen-shot. 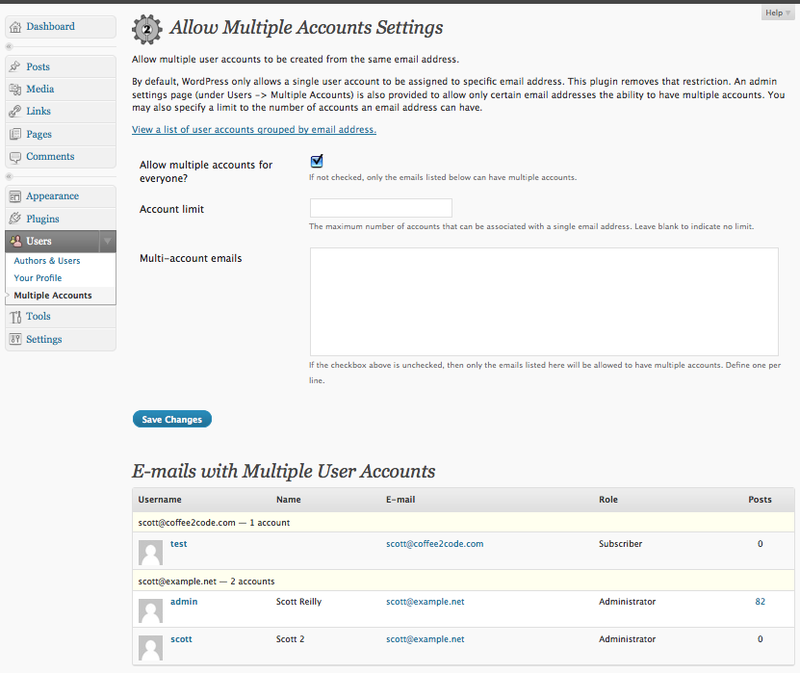 Then, you should add their e-mail addresses to the “Multi-account E-mails” text area. As the developer demonstrates in the below screen-shot, your visitors will get an error message if they go beyond their account limit. 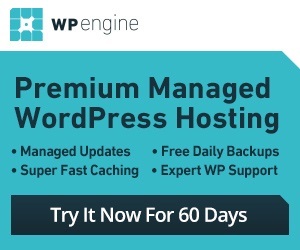 Some WordPress 3.1 users have had difficulty getting this plugin to work. Cassiedong has been kind enough to provide a solution for these folks. If you happen to have issues getting this plugin to work, you want to use the patch available here. Not for everyone but a very useful plugin.